Forest resilience—“the ability of forest ecosystems to return to a pre-condition state following a disturbance, including maintaining its essential composition, structures, functions and process rates”—is fundamental to the well-being of the people, economies, and ecosystems that depend on and are inextricably linked to forests. Forests provide a critical carbon sink, absorbing nearly a third of fossil fuel emissions, with the potential to absorb even more. Unfortunately, forest resilience is challenged on many fronts: deforestation, degradation, fires, population growth, shifting consumption patterns, illegal logging, and climate change. Recent findings underscore the threats forests face and the implications of those threats for people and the planet: tropical forests may be a net source of carbon emissions due to forest degradation reducing carbon in standing forests. In 2016, global tree cover loss reached a record 29.7 million hectares, a 51 percent increase from 2015. Forest and landscape degradation carry a heavy price tag, costing about 4 percent of gross domestic product (GDP) in Burundi, 2.5 percent of GDP in India, and 5–10 percent of GDP in Ghana. The impact on the poor is especially pronounced. PROFOR’s research in the Philippines reveals that certain rural communities derive 7 percent of their annual cash income from selling forest resources, and are heavily dependent on forest ecosystem services like water regulation and erosion control. Maintaining and rebuilding forests’ resilience is increasingly a priority for governments and the planet. 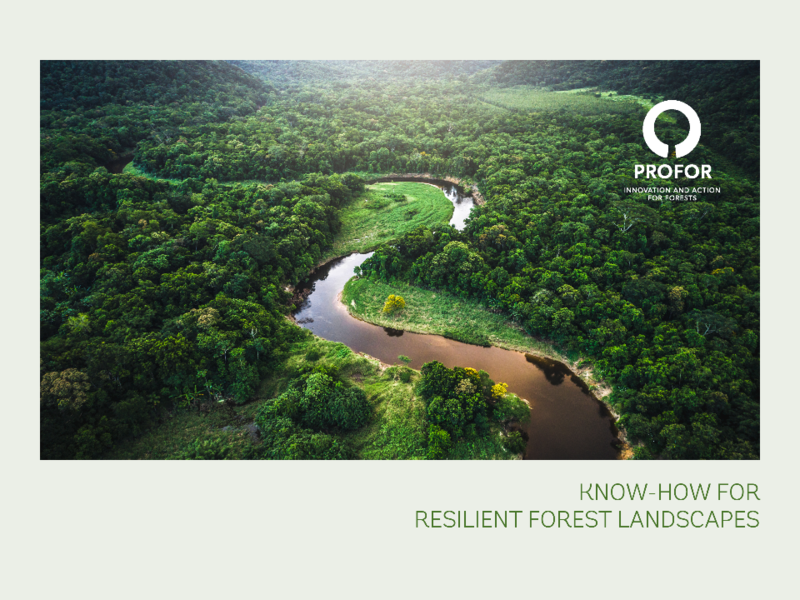 PROFOR knowledge is helping to identify policies and practices that protect pristine forests, restore degraded forests, and promote the sustainable management of productive forests. The World Bank Group’s Forest Action Plan FY16–20 sets out how forests contribute to the World Bank Group goals of reducing poverty and increasing shared prosperity in a sustainable manner. The FAP identifies forests’ role in bolstering resilience for ecosystems and rural economies and communities. In particular, the FAP highlights the importance of maintaining or restoring forest health to provide safety nets for vulnerable local communities and to build resilience to climate shocks. In 2017, PROFOR’s analytical work and programs in support of FAP implementation contributed to a better understanding of forest resilience and innovative approaches and tools to help understand the risks at hand, manage complex trade-offs, enable forest restoration, and strengthen forest governance. PROFOR knowledge helped governments to develop integrated landscape programs, identify forest-smart solutions, and advance Nationally Determined Contribution (NDC) programs. This report provides more examples of how PROFOR is contributing to knowledge for resilient communities,ecosystems, and economies, and helping to equip governments to address the major challenges ahead.